What is the salary of a professional blackjack player? It’s a common question I hear, but what would seem like a simple enough question actually has a fairly complex answer. First of all, the term “blackjack player salary” isn’t quite appropriate. Professional blackjack players don’t make a set amount of money every month like a salaried employee does. Playing blackjack for a living is more like owning your own business or working for 100% commission. Therefore different professional players make different amounts of money based on many varying factors. Some of the more obvious factors being the stakes the played at, the amount of time spent playing and the skill level of the player. There are also many less obvious factors involved in determining how much money a professional player will make. I’m not going to cover all of them here, but just a few of these additional variables include the quality of the blackjack games played, the card counting system used and the size of the player’s betting spread. Every blackjack player has a theoretical “expected value” of their play. When you bet $100 on a hand, you’re going to win or lose $100 (assuming you don’t push, double, split, surrender or get a blackjack). However, over time there’s an average value of that hand. In card counting, high positive counts create a positive expected value for a card counter and negative counts create a negative expected value. Knowing this, and knowing how to take advantage of this, is the foundation of how professional blackjack players are able to make money. 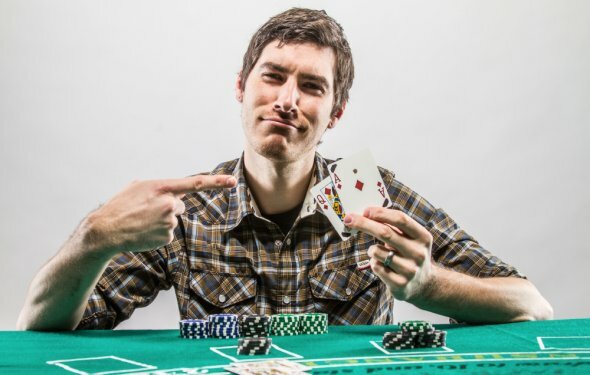 So exactly what is the total overall expected value for a professional blackjack player? Check out the examples below to get an idea. For simplicity I’m going to do some rounding off and I’ll assume only one hand is being played with all counts being played through (no backing out on negative counts).